It’s time to celebrate! The strawberries are here, courtesy of Providence Farm and Sweeter Song Farm. It’s hard not to gorge on them, they are so good! Strawberries with shortcake is a traditional way to enjoy the red beauties but there are so many ways to feast on them. Americans eat about 5 lbs of strawberries a year per capita. 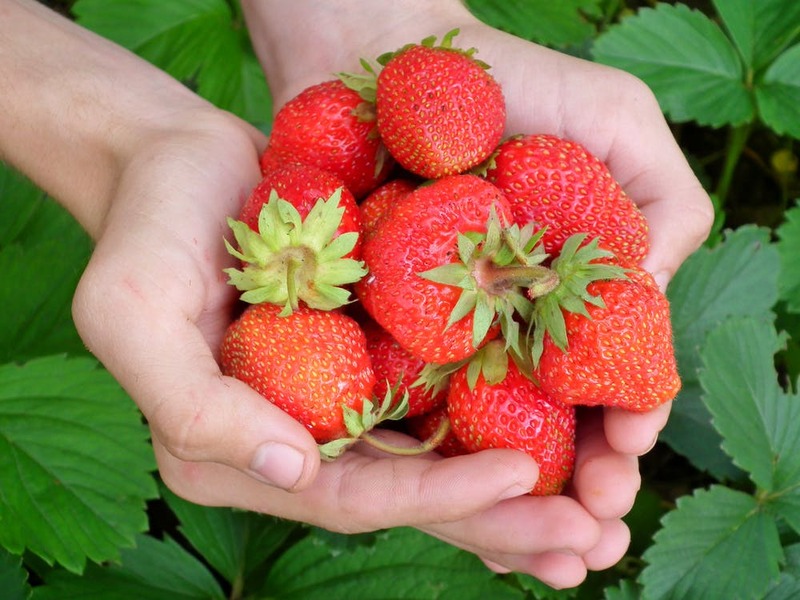 California produces one BILLION pounds of strawberries each year! Strawberries are not only delectable, they are also pretty darn good for you. They are high in antioxidants, vitamin C, and phytonutrients. *For best results, use the best quality balsamic you can find. 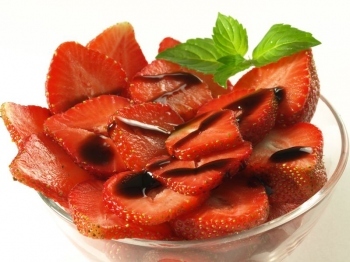 The finest balsamic is an aged product that is deliciously sweet and thick.